Heat MARINARA SAUCE in large sauce pan. Prepare chicken breast fillets according to directions. Cut flat bread in half. Cut cheese slices into triangles. 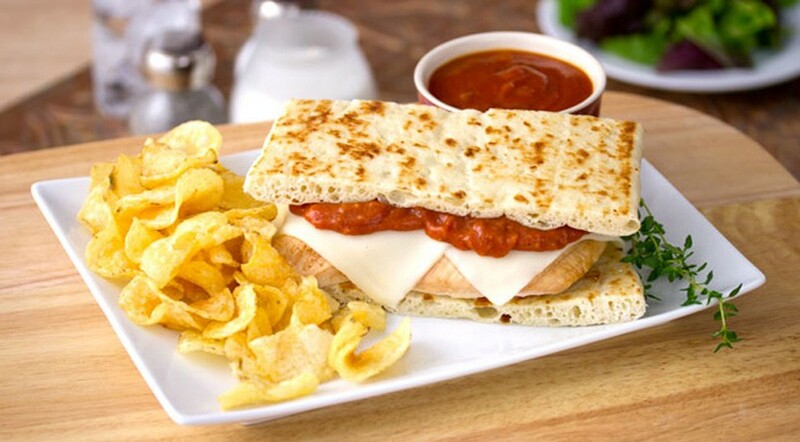 Place chicken breast and cheese on flat bread and cover with 2 ounces of MARINARA SAUCE.